As the economy starts to pick up, so the requirement to develop a cohesive communications strategy takes on a new significance. To maximise profitability and achieve higher revenue opportunities all businesses have to approach their marketing with an innovation mind-set. Each and every communications channel needs to be reviewed to ensure that it is still meeting its objectives and is maximising opportunities. 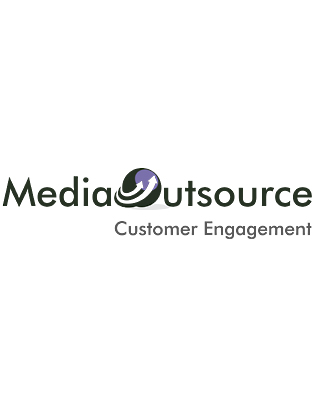 Today’s business imperatives include retaining customers, engaging employees, increasing brand value and growing trust – all of which are reflected in the MediaOutsource communications mix. Businesses need to stay relevant to their stakeholder groups - this is achieved through excellence in production of live events, quality of content marketing solutions, consistency of brand and customer strategies. Pulling all of these strands together drives customer loyalty and supports the wider business strategy. Please provide your brief to Jo at Atlantic Speaker Bureau and she establish your needs and whether we can work together to help you achieve your best outcome. 'May I say a big thank you for organising our first National Conference and the Awards Dinner. It was a very well-organised, professional event which was due to all the hard work and dedication you and your team put into making it happen. The speakers were excellent, a superb facilitator and the energy could be felt throughout the room. The feedback we have received from staff, members and external delegates has been outstanding. We have also had people saying they would like to sign up for next year's event. Everyone enjoyed the Awards Dinner with the entertainment and, I must say, a fascinating light show. We are all still wondering how they do it. Your choice of Awards Host for the evening was the icing on the cake! Again, my personal thanks as well as the thanks of everyone in the organisation. We look forward to a long and fruitful relationship with you and your team.